1. Jeff Sessions lied under oath, saying he never met with any Russian official during the Trump presidential campaign. He met the Russian ambassador twice. The GOP impeached Bill Clinton for perjury in what was a minor personal matter, but stand by Sessions despite his perjury regarding a matter of national security. 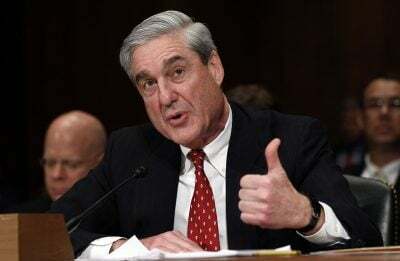 Mueller should indict. 2. Scott Pruitt met with the CEO of Dow Chemical last spring. Twenty days later, he decided not to ban Dow’s chlorpyrifos pesticide from being sprayed on food. The problem with chlorpyrifos is that it can have a negative impact on brain development in fetuses and small children. We should look into whether young Trump was exposed to it or something similar in the late 1940s. Evangelicals, the main support base for Trump, are always going on endlessly about abortion being a genocide and are continually interfering with women’s constitutional right to have one. So you would think they’d be up in arms about a pesticide that could harm an embryo, right? Not so as anyone could tell. Pruitt’s own Environmental Protection Agency scientists have confirmed the dangers of chlorpyrifos but he ignored them. This is child endangerment and child abuse on a massive scale. I’d say, even a high crime and beyond a misdemeanor. Jail time would be appropriate. 3. Interior Secretary Ryan Zinke swung a $300 mn. contract to rebuild Puerto Rico’s electrical grid to a tiny company on the verge of bankruptcy with two employees, Whitefish, which happens to be based in Zinke’s home town. That is corruption pure and simple. Puerto Rico has annulled the contract, quite rightly. Imagine if Trump had tried to treat Houston that way! Somebody should indict. 4. Treasury Secretary Steve Mnuchin also allegedly perjured himself when he denied that the company he headed, OneWest, engaged in robo-signing (backdating mortgage documents and forging them) even though there are substantial indications that the company did so. Mnuchin is the reincarnation of Ebenezer Scrooge. He actually made people homeless for being 27 cents behind on their mortgage. Now he is seeking one of the largest transfers of wealth to the US rich since the days of Andrew Carnegie. 5. When he was Secretary of Health and Human Services and flying around on million dollar flights at taxpayer expense, Tom Price also spent money earmarked by federal law for encouraging people to sign up for Obamacare on negative ads attempting to discourage them from doing so. Just because Price is out of office doesn’t mean he can’t be indicted. What could be lower than trying to take away people’s health care insurance? 6. Despite promises that he would avoid investments that raised red flags about foreign influence while he was president, Trump is looking at deals in India. If the Indian government of PM Narendra Modi grants these licenses, worth a substantial amount of money, won’t that be an emolument of the sort banned by the constitution? Except for Sessions, this list has nothing to do with Russian influence on the 2016 presidential race, and probably is actually beyond Mueller’s purview. But somebody should lock these creeps up.